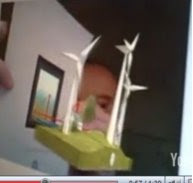 HardKnoxLife demonstrates a bit of digital marketing from GE that combines a single printed page, the camera on your PC, image analysis and 3D modeling to show you how clever they are. Technically very nice idea. Similar to cellphone camera scanning applications, like MS's Tag. Thinking of how else this might be used, but do not see this example as being very effective marketing except to a very narrow range of people. Worth looking at. About the Author, Richard Shear. For a request I dug out this article on some work I was involved in a number of years ago, then remembered that I had never posted it here. It is about solving tough supply chain complexity models with agent-based simulations. It ended up suggesting strategies rather than being convincingly predictive. I was just pointed to a private beta called Alice. The idea ... appears to want to sell common CPG products at some discount via subscription with free delivery. Using subscription re-stock has always been a dream of CPG companies, so that a consumer is tied to a specific choice and would have to opt-out to change brands. I have been involved in several experiments of this type. Can a consumer get excited enough about toilet paper to join their Community? Or follow them on Twitter? Is a discount really possible when competing with the supply chain of Wal-Mart? A noble experiment worth following. I have heard this suggestion many times in the large enterprise. Usually more like: 'What would you invest in if this was your own money?'. Though that was directed at being bold while also minimizing risk. Adage has some provocative advice. An interesting view of the IPhone application store. Overall sales are increasing, but few apps are used long after purchase. " ... users who download free applications from the App Store, only 20 percent use the app the next day, and far fewer do as the days pass. For paid applications, the return rate is only slightly better: 30 percent of people use the application the day after they buy it. The drop-off rate for paid applications is about as steep as for free applications after the first day ... ". Observing my own behavior, twenty five applications acquired, nine in almost daily use. Short piece on the state of Twitter. Still attracting lots of people. Collecting eyeballs. It reflects the two minds I have about it. It is a collection of very bored people with nothing else to do. It is also a way to connect with lots of like minded people ..... who just need to engage. Fascinating piece on the the use of in-home interviews by Tesco's Fresh&Easy. " ... did Tesco grasp the method they were using? There is a distressing habit these days to think the ethnographic due diligence has been satisfied if interview are done in-home and in-store. In point of fact, an interview not in-home is not ethnographic. Unless certain methodological conditions are satisfied, it is merely an interview done in-home ... " . Later in the article they quote P&G's Lafley in his book: The Game Changer . Overall a very nice case study of the use of ethnography. Gerd Gigerenzer is the director of the Center for Adaptive Behavior and Cognition at the Max Planck Institute. I have been reading his 2007 book: Gut Feelings: The Intelligence of the Unconscious. At first I thought this was like Gladwell's Blink. But instead of looking for just-so anecdotes Gigerenzer is always trying to induce useful rules. Human behavior is more about adapting than blinking. Notably about heuristic rules rather than attempts at optimizing a problem. He further explores multi-step decision processes. He examines such problems as catching a ball and what he calls the 'recognition heuristic' that seems to pull knowledge from collective partial ignorance. That alone is worth the read. Many of his unconscious-cognition examples are well known, and thus repetitive. Later in the book he includes some examples that don't fit. Brief mention of fMRI but none of neuromarketing. Useful read for the examples above and an intro to the work done at the Adaptive Behavior Institute. Gigerenzer is also involved with consumer responses to product innovation. I am exploring that. A Gigerenzer talk Video. In today's New York Times, an interesting case study on a Neuromarketing method used by US snack goods manufacturer Frito-Lay, which used the morphology (structure and size) differences between women's and men's brains to change their chip packaging and marketing to appeal to women. Includes a video of their marketing. Different than the sensor biometric methods usually emphasized when discussing neuromarketing. A women's marketing expert makes the point that this is 'less insulting' than the usual approach of making a package pink. Specifics of testing unclear.
" ... Juniper Park used neuromarketing in a slightly different way. Ms. Nykoliation began by researching how women’s brains compared with men’s, so the firm could adjust the marketing accordingly. Her research suggested that the communication center in women’s brains was more developed, leading her to infer that women could process ads with more complexity and more pieces of information. A memory and emotional center, the hippocampus, was proportionally larger in women, so Ms. Nykoliation concluded that women would look for characters they could empathize with. And research Ms. Nykoliation read linked the anterior cingulate cortex, which processes decision-making and was larger in women, to feelings of guilt. (Experts differ on how directly functions or feelings are associated with various parts of the brain.) Ms. Nykoliation then asked NeuroFocus to review her assumptions and, as Juniper Park developed ads, to test the ads to verify that women liked them ... "
A number of aspects of this research and application makes me skeptical of it being predictive. Good Financial Times Piece, mentions P&G, Kimberly Clark. It is inevitable that we see more of this kind of play. One example, Ecrio's Mobeam system, shown at the right. Ultimately these kinds of promotions should be organized and transmittable directly from a shopper's cell phone. Ken Karakotsios, creator of the game Simlife, now has a blog devoted to simulation. Great start. Instructive. See also my post on his company DecisionPower. See also more about his cellular automata based IPhone application Trancit, another example of an agent-based simulation. Games and simulation should be more closely tied. I have seen a few examples in the enterprise, but not enough. Have now followed this neuromarketing analysis work from Sands Research for three years: Sands Research Challenges Instant Analysis .... Impressive overall work, although I always wonder about what controls are in place for these kinds of experiments. There is still work to do to convince companies that there is real repeatable science being done here. Reading Satnam Alag's Collective Intelligence in Action. Good, technical, probably not a read but rather a deep browse. See the book's site for more. Some similarities to Toby Segaran's book: Programming Collective Intelligence, which I have previously written about. 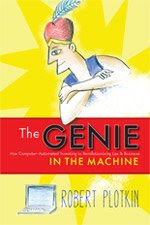 A book about automating innovation just brought to my attention ... not available until April 15. I guess I would be more interested in an automated capability to evaluate inventions effectively. Have investigated genetic methods to do that. I have been running a beta called Fairshare for a month. I submitted the name of this blog and about a month later started getting reports about how the content of this blog was being quoted, used and remixed. The report includes who is using my text on the web, how many words are used, what percent that is of my total post, if a link back to my post was included and if there were any ads on the quoting site. Interesting information. Is this a prelude to allow me to declare a cease-and-desist if I am quoted beyond what I consider proper? See also their FAQ. Colleague Sammy Haroon comments on a recent Economist article about how corporate life and culture may adapt in 2009. And further, can we expect an engaged workforce? Gary Wnek points out that David E Goldberg has posted an excellent detailed slide show: What Engineers Don't Learn and Why They Don't Learn it. Part of the Ifoundry project, a project for innovation in engineering education. Would be of value even for most non-engineers. I like the historical positioning of the conclusions. The NYTimes has an article: The Cellphone, Navigating Our Lives talks about the concept of augmenting reality. Specifically about new cellphone interfaces that can paint data on top of images around them ... Linking together maps, location and mental models.
" ... Increasingly, phones will allow users to look at an image of what is around them. You could be surrounded by skyscrapers but have an immediate reference map showing your destination and features of the landscape, along with your progress in real time. Part of what drives the emergence of map-based services is the vast marketing potential of analyzing consumers’ travel patterns. For example, it is now possible for marketers to identify users who are shopping for cars because they have traveled to multiple car dealerships ... "
An example of later developments looked at how to overlay abstract data from retail sales and profitability on top of virtual displays. A kind of augmented-virtual reality. Once you have data you can also augment a system with generated data from a model. Models that can predict results combined from both simulations based on the real world and from sets of data that augment that world. Now that we have advanced smartphones, location capabilities and faster data links it makes sense that the augmentation of reality can be extended to new stationary and mobile applications. A brave new world approaches. The Times article is a good introduction. Marketers Face Moment of Truth As Retailers' Lines Soar to Historic Sales High ... Package-goods brands face their greatest crisis and strongest threat from private label since at least the early 1990s. And that's the good news...."
For bloggers and others that might need sketched images: Sketchory. Here described in more detail. 250,000 images available under creative commons license. You can copy or embed, even for commercial purposes. Even includes animated sketches. I did some searching and the sketches seem to be somewhat haphazardly tagged. They ask for help tagging. Not a bad idea, will continue to explore, an example of a sketch at the right. It is a sketch as you can see, not necessarily a piece of art. I like these kinds of images. See also their sketch of the day blog. Reading James Boyle's The Public Domain(review) has alerted me to copyright issues. The new Kindle has a text-to-speech capability that reads book text to you. Now the Authors Guild is saying that the reading of a text by an artificial voice is a derivative audio right. And is illegal on the Kindle. And more from a legal perspective. Sure, consumer spending is down and costs are up. But this is a company that is plotting where to build its production plants through 2015, not fretting over oil prices in 2009. I visit our local library about twice a week. To get books I have transferred from branches and to browse. Today I watched as a librarian carefully helped a patron figure out how to use a terminal to access their system, do a search and use other online resources. It struck me how the job of the librarian has changed. There is an article in this weeks Book Update: In a Web Age, Library Job Gets Update, covers how this has changed in schools. Another change in how we read and in the infrastructure of reading. Am considering the New Economy Engineer. Interesting new site. Also in the same domain: The Entrepreneurial Engineer. Worlds can be engineered as well as designed, a careful balance of both works well. I fear we are swinging too far to the design realm. Other good examples out there? 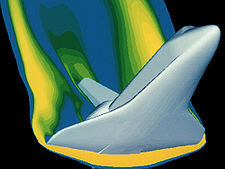 At the right, a simulation of airflow over the space shuttle. In Visualizing Economics, an animation of the growth of Wal-Mart across the US over time. This would be good at shareholders meeting with music in the background. I do not see much insight in this kind of visual. Good straightforward piece on helping secure your online presence. Which has been on my mind lately. Steve King looks at the current state of self-employment. From Consumer Goods Technology: Manufacturers Underestimate Power of Word-of-Mouth. They overview a paper from Colloquy, which publishes research about market loyalty. Ken Karakotsios of DecisionPower, a long time correspondent of mine is in the midst of putting together a blog about simulation topics. I will report on that when it is ready. Update: It is now up and running. I reviewed the DecisionPower site today and I was reminded of the remarkable work he and his group have done. He worked with us a few years ago and some of what he did was particularly clever in its application to understanding market complexity. What they created ended up being a an important and key method for us and then evolved into a number of valuable approaches. He is now developing new econometric models and that could help companies in uncertain times. These folks are very good. I have mentioned their online marketing mix method called Adplanit here a number of times. Advertisers should flock to this approach. They are also experienced at developing smartphone applications and have examples out for the IPhone. I write this now because Ken informs me that they have had to consider putting the company on hiatus due to the current tightened economic situation. I urge you to look at their products and services. If you need a strong predictive model built for a market, economy or process that needs to be improved for these turbulent times, they are the ones to consider. The also have the ability to add gaming aspects to your model to help your employees compete for the best solution. I have seen their work, tested it in real environments and it is impressive. Contact Ken at the links above, or contact me to fill you in on my view of their abilities. 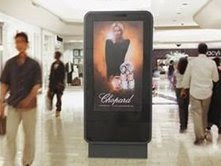 P&G has tested the use of RFID tags to confirm that promotional displays are being deployed. This article discusses their current ending of a test with Wal-Mart to tag promotional displays, while there still seems to be evidence that the effort provides value. It is possible that this is just the end of a test. Update: Another take, the test itself failed. This also does not mean that Procter is no longer interested in integrating tagging into their supply chain. In this current Connect & Develop (open innovation) request, they ask for help in ideas for the activation and deactivation of EPC RFID tags. 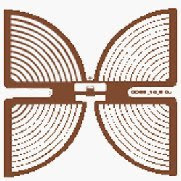 Above an image of butterfly passive UHF 865 Mhz EPC RFID tag.
" ... Clutter is an understatement, and words are seriously swamped in this environment. Instead, colors and shapes drive shopper recognition and communication. It is less about cognition and rationality and more about intuition and emotion... "
A good video by AK Pradeep CEO of Neurofocus, Does Neuromarketing Work?. Good overview, but not too much actual predictive detail. Unilever seeks to boost value and volume this year. Alison Bolen, SASCom editor in chief, has some good notes on the Analytics 101 Webcast, which I managed to miss due to other engagements. Social Tech guru Paul Gillin writes about how to make money with your blog. About a week ago the NYTimes had an article on Google's Power Meter Project. Jim Stogdill has a good followup article on O'Reilly Radar where he looks into more of the underlying details. He makes the point that setting up a metering system can then make you think differently about utilizing resources. He also points out some of the problems with having a Google-centric design. A good detailed piece. When I first saw the NYT article I started thinking about other things that could be metered and what kinds of models could be built on top of the data that would be acquired. Inspired, in part, by such apparently failed projects like PRISM. In retail, capture of a number of basic metrics and the inclusion of models makes sense. It has been done, but capturing the rate of sales and predicting an out-of-stock event is a good example. 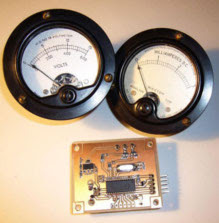 This is less about meters, but more about combining the input of multiple sensors. Also called sensor fusion. We can install new sensors, which are cheaper every day, but it would best to first harvest sensors in place today. Power, Point-of-Sale, Employee allocation, Sensors at key store points, etc. and temporary and disposable sensors that track promotions in specific store contexts. Then add a floor grid to track traffic. While some of these examples are simple, there are opportunities to link data, visualize the results, and produce real feedback from the retailer. You have to admire Google for taking the first steps in seeing how existing sensors could be leveraged to construct a value proposition for the home. They will get value by starting to build models and experiment with the resulting data. The store is a yet richer environment, with more data being collected today, and sensors becoming cheaper. The inclusion of business intelligence methods and specifically visualization capabilities that can combine the results from multiple sensors also makes sense. Models, starting with very simple ones, can blend data to feed other metrics. Then we can start answering questions like: Should we change the product mix in this aisle on this day of week? Do we need labor coverage in this aisle at this time? And many more. Yes, I know there are large revenue management models out there that already try to do this. But they are not sensor centric. Much opportunity pointed to here. Does anyone want to play with me on this? Professor Gemma Calvert of Neurosense, sends along a link to the podcast videos from the 2008 Neuromarketing event held in Warwick last September. 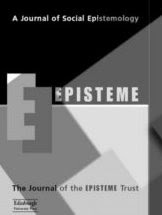 Thoughtful article in Episteme on Wikipedia. Very good points about the differences of what mass collaboration produces vs that comes from typical editorial collaboration. I am not sure what this ultimately means, or what should be done, but it should be thought through. Had not seen this journal before. Other articles on the subject. Good pieces, though I think the title of this journal scares off many potential readers. Epistemology is the study of the structure, scope and limitations of knowledge. David Sibbet writes that Grove has established a virtual learning center in Second Life. The site includes descriptions and pictures. I can remember visiting IBM's Almaden's virtual learning center a few years ago. An attempt to have a center which you could visit alone to pick up ideas, and one that could be used for group tours and meetings. At the time had some interesting discussions with people there. See also David's blog, which also mentions the idea. I have not visited SL for some time. Roger Dooley gives a good overview of the book: Whiff! : The Revolution of Scent Communications in the Information Age by Russell Brumfield and James Goldney. I have mentioned this lively book on scent sensory topics here a number of times. I have also met Russell and James and they know their applied sensory stuff. Good Kelly post, have only experienced the Amish from a distance and from the highways seeing all those rare clotheslines in a modern age. Best point from the post: their default response to emergent tech is set to 'no'. It may change later, but perhaps not be a bad place to start. 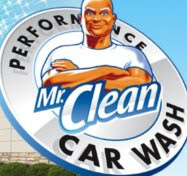 Jonathan Baskin looks at the extension of the Mr. Clean Brand. Why not? A very stong brand with a great image that has slipped over the years. If only we could have made him talk! If does not destroy the brand and adds to that is expected of the brand ... it cleans ... it would make sense to add it to the ROI. As I recall it is a brand even well known in Europe. This looks to be good: " ... Nick from Clever Zebra here. After some pushing from friends and colleagues, I'm pleased to tell you that the Virtual Worlds for Business eBook is going free, and open source today! We'll be announcing a conference to go with this shortly ... "
By John Hagel and John Seely Brown ... "
Podcast on optimizing agile design. By UXDesign, via IBM Design. I often have the need to visualize data from the enterprise resource planning system we use at work. For those not familiar, an ERP is a collection of servers and software that essentially create a common environment for people to monitor and plan a business. One of the downsides I’ve ran into with our ERP system is that the data within is huge, complex, and not easy to visualize... "
Prof Peter S. Fader of Wharton looks at Microsoft's plans to set up some retail stores, and makes some suggestions." ... One of the biggest differences between the two tech giants is that Microsoft has no computers of its own to sell. Fader says it will be interesting to see how Microsoft decides which of the many hardware makers that run its software will appear in the stores .... "
Short piece on Google eye-tracking studies and universal search. Interesting to see how they approach it. I like the Tie tying example, it was one of the first 'aha' moments I had with remote teaching using the Web. There are now dozens of sites that instruct in Tie Tying. I am thinking that there is something more to learn here. I have seen sites, for example that show simple repair with images and videos. Did a bit of this in the enterprise. Linking that idea with an understanding of how people actually watch training pieces could be useful, even promote prompts when a person seems to moving towards the wrong answer. Exploring. In Adage, see also the complete US Federal Trade Commission news release and report.
" ... The Federal Trade Commission seemed to give a major victory to marketers today when it confirmed it will let them self-regulate behavioral-marketing privacy issues in cyberspace, rather than introduce government regulation. It also narrowed the scope of advertising that will face regulation ... "
Nick Carr posts about Automatically Updated Books. How devices like the Kindle can provide updated text for for any work. Great for a book that needs up-to-date information. It is just updated in the background. This allows us to update the 'truth' at will. So will there never be a fixed truth? Will it allow the government update anything it wants? Will there no longer be a hardcopy to let us see what has changed? This situation exists on the Web today. I can change anything I want on this blog and sometimes do to fix something like a typo. I do not keep a printed version. Wikis address the problem by keeping a history of changes so that any specific edition can be re-created. It is messy and few people do it, but it can be done. Now assume physical books go away and we update content from a single database source. In the old physical method of distribution, thousands of books are printed and they are distributed to book stores and libraries. I could create a book with changed content, but it would be difficult to replace all of the copies. This is like the general copying problem. The Web allows us to easily make copies of existing text. A central repository of digital texts would allow us to readily update, for whatever purpose, copies of a text. Some appropriate safeguards would be needed, like the Wiki solution, for master copies of digital works. I see that GMail has added a new optional feature to its signatures. It will add a location designation that it derives from an IP address. In an article, Wired suggests that any such features should allow you to control the truth, in other words lie about your location. I can see reasons why you would not want your location (city, not street address) sent out, but that is a matter of not opting-in and not lying. When I used to travel often to exotic locations I added a truthful location line to my signature, like an author scribbling in Tahiti. I was there but I was looking at grimy store shelves. More exotic than West Chester, Ohio. I vote for truthfulness. Consider the consequences if you are a spy, hiding from your boss or have other specialty concerns. Anyway, it does not seem to work if you have a signature that you have constructed yourself. 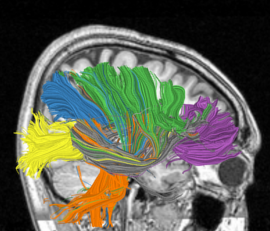 Roger Dooley posts on the processing of subliminal messages by the brain. Based on a 2007 University College London Study. It is known that the brain reacts to things we are not conscious of. When does that lead to actual external behavior? An interesting article. Has some good points. One thing I did not agree with was that a company should suggest that its employees publicly blog and Tweet, as opposed to setting up a company blog. No problem with employees blogging, and being permitted and encouraged, but I think there should be a corporately sponsored and edited blog to promote key ideas centrally. That blog could also point to the other employee 'voices'. That kind of combination demonstrates that there are central, as well as independent interests and opinions. Google Latitude has brought it up again ... more on cell phone location. Nick Carr examines the future of newspapers: Smaller, tighter, hybrids, micropayments or just mostly gone? 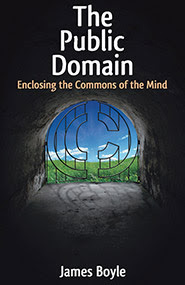 Just finished on a long flight: James Boyle's: The Public Domain, Enclosing the Commons of the Mind. Available for buying, reading or downloading online free. This was also an interesting test for me. I downloaded the free version, read a dozen pages, then became weary of that and bought the book. At least for me, if the book is interesting, they can make a sale. Welcome to the intellectual property wars. The book is mostly about copyright and patent law and the recent changes to these laws, and how they change innovation. It is written in a popular mode and includes many examples and models to consider. Still you have to have some interest in the topic. He starts with some quotes from Jefferson and Macaulay to set the stage for a definition of property rights. The obvious distinction is property that is exclusively own-able by someone, or property that can be readily copyable by many people. Note especially his 'Farmers Tale' chapter, an allegory that helps you understand his points. The Web has created the formerly unimaginable ability to instantly copy text, songs, videos and then re-purpose and share the results at no cost. Yet it clearly reduces some of the for-pay market. People are willing to do this for no direct payment. He makes the case that if we had known where the Web was going, starting less than twenty years ago, it would never have been legally allowed. Is the Internet one complex network that evolved to commit copyright crimes on a massive scale? It could be defined as such under current laws and shut down. I admit I have always been of the opinion that copyright should be a 'natural right'. My invention is mine because I created it, not because the Patent office is allowing it. Yet the US constitution takes a more utilitarian approach. The laws are designed to give exclusive use for a time, then promote further innovation by making them public. Yet copyright law now gives exclusivity for the author's life plus seventy years. For their heirs? Does that make sense? Does that promote innovation? The case is often made that copyright/patent laws exist so that an inventor will get enough reward to want to innovate at all. Yet today there are many cases where writers write for their own pleasure, or for secondary effects. Like this blog. Like the Wikipedia. Like social networks that trade links and expertise. This would also been hard to predict a dozen years ago. Massive numbers of people will create for little more than a bit of notoriety, and often not even that. Also covered are the much misunderstood area of 'fair use', apparently now redefined so that it is little understood by anyone. I often copy quotes from books and other posts in this blog, is that covered under fair use? According to Boyle there is no clear answer except that which might be determined in court. He also covers mash-ups and re-purposing, where he believes that these efforts are prime examples of integrating pieces of knowledge to create value for society. Here he gave a number of recording industry examples I was less familiar with. He also gave an example that was irksome to me ... I won't repeat the details, but a mash-up was created to make a political point by taking a number of copyrighted sources and combining them. In some cases promoting a direct lie. He tried to soften it by saying 'whether you agree with the resulting statement or not' ... yet he repeated the title of the pastiche many times. Was this an argument for strengthening the libel laws? It weakens his argument: truth or lie, right or wrong, it is all OK. I, and I think many others were irritated by the casualness of the example. Beyond that, this book was well done. The philosophical start of the book may scare some, but it leads you to a better understanding of all the issues involved. I came to agree with his overall more utilitarian, invention-friendly approach, and that the laws have swung too far and have started to encroach on the ability to create. I was involved in recent intellectual property work, and the misuse of the laws today are obvious. In an Internet world, are there enough lawyers to control innovation? What is the cost of squelching creativity? The book's site and author details. The WikiDashboard is a system that analyzes the social dynamics of a Wikipedia entry. Good overview article about it in Tech Review. By examining the social dynamics of an entry ... who is editing, how often, etc. you can interpret how credible an entry is. The supporting data exists already, but the dashboard exposes it in an organized way. I did a brief examination in 07 when it was introduced for the WPs most controversial pages. The implication is that large numbers of edits and comments indicate there may be trouble. Is that always true? My guess is that users of the WP are looking for an answer and rarely consider credibility. It would be good to have an index that would warn people to read entries more critically. Though that could be gamed too. The Parc team that did this is also working on a means to analyze the general quality of entries. I see that the WikiDashboard has been crushed by recent attention, so you may want to wait before trying it out. Cognitive Computing project, seeking to reverse engineer the mind. Quite an ambitious project. See also IBM researcher Dharmendra Mondha's cognitive computing blog. I had thought we did not know all the details to do the engineering required, but they say: " ... "The idea is to do software simulations and build hardware chips that would be based on what we know about how the brain and how neural circuits work," says Christopher Kello, an associate professor at the University of California-Merced who's involved in the project.... ' . Even if we had a brain equivalent, we would need to teach it. Assuming we also knew the 'boot' program that would fill it with knowledge. Would the resulting system be alive? Amazon introduces the Kindle 2. Again, I do not want to drag around another device. Put it on my phone. From the Neuroconnections 2009 meeting. The Neurocon panel in Cracow was run live on the Polish CNBC affiliate on Saturday. The object of the debate was to itemize the hopes and threats from the newly developing technology of neuromarketing. I have been on many panels, and I ran this one as a means to get a conversation started with a diverse group of business people, scientists, academics and investors. Can we drive to real solutions? One of the items that came up very early was the topic of naming. Neuromarketing as a field has created some negative reactions in the press and watchdog groups. The implication that it is manipulative has come up. Should the name be changed? Is there a better term that describes the business and science involved? How do we prevent it from being associated with badly done studies of subliminal advertising? The neuroscientists in the group pointed out that there were practically no neuroscientists in the audience, and there appeared to be little oversight of claims being made by some NM firms. This naturally led to the topic of ethics. My own experience with how consumers react to more personal kinds of marketing would say that this is a very important topic. Gemma Calvert, neuroscientist at the University of Bath, had reported on how her work included ethical panels for every experiment. The group agreed as a task to create a strong ethics group. Also much in the discussion was how to validate the results that come from NM studies. This is not an uncommon dilemma for newly forming technology areas. No new ideas evolve without a context. It is unexpected that NM will replace current traditional methods of marketing analysis. So how should the methods be integrated with other methods. Should they be validated in different ways or is the statistics the same? Some panelists said that the evolution of these ideas could take a number of years. Gary Singer of Buyology gave a good perspective of the evolution of these methods and how they could be systematized by critical decision models. Tim Ambler, of the London Business School, had given the keynote address on Advertising, the Mind and Neuroscience, continued his skeptical view of the combination of advertising and science. Much appreciate this view, because it makes us think critically, not always present in the marketing world. Dean DeBiase, CEO of TNS Media, provided a CMO's perspective of the field, since his groups will ultimately have to deliver these ideas in settings that deliver results in the same way that traditional methods do. There were comments from the audience by several group that were traditional business consumers of marketing methods, but regrettably none from the usual large companies that drive the use of these methods today. Some of these companies are still leary of the field. I see that changing as the field evolves. This was a good panel. Great diversity of interest, some good contention among interests. Usually I get snippets of information from panels. This panel positioned some key tracks that need to be strongly driven by NM as it evolves. It also convinced me that this will be an evolution, not just an instant solution. It will combine neuroscientists, marketers, business analysts and consumers to provide help construct a way to deliver better products. Thanks to all that participated. It could have gone on for many more hours. A wealth of new work has been initiated. Questions and views welcome. These articles give one the impression that general simulation is simple. Microsoft has been pushing the idea of virtual reality worlds. I like the idea but always wonder how real such worlds need to be built. Photosynth as a starting point? Face recognition in retail, see also related recent post. Though there has been much improvement in face recognition, they are going to make mistakes. Another example of tailoring a message to a demographic. " ... In France, kiosks are using face-recognition technology to determine gender, while in Japan, similar technology is being used to deliver ads based on age and gender. The new technology raises ethical questions regarding privacy, and the reliability of these new systems is not clear ... "
" ... A presentation delivered this week at the TED 2009 conference demonstrates how you can “grow” fresh air indoors with just three varieties of plants. The discovery was the result of 15 years of testing at Paharpur Business Centre and Software Technology Incubator Park (PBC™ - STIP) in New Delhi, India, an eco- friendly oasis ... "
From the Neuroconnections 2009 meeting. I am running a panel debate on the hopes and threats of work underway today .... I will post a number of position statements and findings this week and next from Cracow. A new book by Flemming Hansen and Sverre Riis Christensen: Emotions, Advertising and Consumer Choice. Looks to be a worthwhile, will have a copy for review soon.
" ... This book is aimed at readers interested in advanced consumer behaviour theories, both graduate students in their final year and practitioners with an MBA or similar background. "Emotions, Advertising and Consumer Choice" focuses on recent neurological and psychological in-sights - originating from brain scanning or neurological experiments - on basic emotional processes in the brain and their role in controlling human behaviour. These insights are translated by the authors to cover the behaviour of ordinary individuals in every-day life. The book looks at these developments in the light of traditional cognitive theories of consumer choice and it discusses the im-plications for advertising and other communication testing... ". Attention Trust. I was reminded of this organization in my recent reading of Stephen Baker's The Numerati. They let you manage the value of your personal data. I wrote about LPA recently and my own experience with using expert systems for enterprise improvement. Another way to think about this is a form of business process management (BPM) that can provide more detailed and higher leverage solutions than most BPM packages can. Most importantly, these methods display the logic transparently and graphically, to help check and maintain it.
" ... its graphical charting tool which lets business professionals draw, test and generate business-rules applications either on the Desktop or the Internet. VisiRule allows developers to design and deliver commercial rule-based systems, expert systems, and knowledge-based systems on Pcs and Internet. Business experts just draw the decision logic using a point-and-click paradigm and input the conditional logic to use at the relevant branching points. This means that business experts no longer need to involve a sophisticated programmer to build decision support systems - they just need to understand their decision-making process. VisiRule allows experts to rapidly produce accurate diagrams which they can then share and discuss with colleagues who are also involved with the business process at hand ... "
Mathematica is a great package. I used it extensively in the enterprise. Yet it has always been too expensive for the typical home user. Now they have released a home edition for $295. Still high for home use. I can understand that they don't want to lose many full package sales to this, but too few people know about the package. Have not looked at in any detail yet so I cannot compare this to a full package for the individual at $2495. I like their blog, but it is also more oriented to the advanced user. They need one with examples for the home edition and make sure that K-12 and some college teachers are aware of it. February 5, 2009--Wolfram Research today announced the availability of Mathematica Home Edition, a release that for the first time lets people explore their personal interests using all the power of Mathematica at a fraction of the cost. "Over the last two years, as we've delivered powerful new capabilities and integrated vast banks of curated data, we've realized that Mathematica is not just the perfect tool for those on the frontiers of research, in the top echelons of academia, and throughout mainstream engineering, finance, and science," said Peter Overmann, Director of Software Technology at Wolfram Research ... "
Morris (1995) and Richins (1997), a recent review is available in Poels & Dewitte (2006). But an integrated framework for advertising testing that focuses mainly on emotional responses does not exist. It is the purpose of this study to propose one such system. We introduce the concept of Net Emotional Response Strength (NERS) and illustrate the use of this in tracking and advertising testing. We also illustrate how this has been used in different communication studies at Center for Marketing communication (CMC) at the Copenhagen Business School. ... "
Also, the complete document with all ten statements. Short overview. Enterprise search is an interesting problem. In part because few enterprise documents are linked the way Web posts are. So the prioritization methods will not work as well. Kimberly-Clark's employees search through more than 22 million documents daily across multiple repositories, and the company required a high volume, minimal administration search solution. With Google, Kimberly-Clark employees can access data throughout the network. Read how a fast, seamless, high-quality search experience can improve employee productivity across a global organization.... "
" ... Demonstration and exploration of how to guide Visual Planning meetings on web conferences using interactive visualization on tablet PCs and templates. This workshop will also share a case from TED where I worked with Autodesk to record the entire conference on Wacom tablets for multi-touch displays ... "
A nice demonstration of unconstrained English text-to-Speech from IBM Labs. I gave it the classic 'ice cream' example and it was not quite able to speak it differently from 'I Scream'. Still a nice job overall, the voice was very realistic. Try it. Google Latitude will let you see where your friends are on Google Maps. Newly launched, soon to be available for the IPhone. Update: I see that this tracking has created some negative privacy publicity, but I imagine that this requires some opt-in by the people being tracked. A review, with some suggestions for its use. From Guy Kawasaki's blog: Ten Ways to Use Linkedin to Find a Job. Mostly common sense, but worth a read if you are in the market. Someone’s bound to yell at me for this. But I simply don’t care about my blog’s traffic. Why? That’s just a number. Here’s what I do care about. ... I care that when you come here, you find something that’s valuable. To you. Either you enjoyed reading it, or it gave you an idea, or you showed it to your boss, or it just reassured you that you’re not the only crazy one thinking these things ... "
A very well done overview piece on Bayesian modeling and Business Intelligence by Steve Miller. Now part 1, and just published part 2. Anyone that does BI should understand the basics of this kind of model. Used for particularly hard problems in enterprises that already have lots of knowledge about their world and would like to use that knowledge to generate more. From Flowing Data, a visualization of the growth of Target Stores throughout the US. Links to a display of the US, which shows year by year how Target grew. A very simple animation. I have seen many examples of this kind of visualization that contain an animated time dimension. This is amusing to see, but I not see how you can get much pattern value out of it. At best an entertaining aside for more in depth data analytics. Ray Kurzweil has launched the Singularity University. More on a technological Singularity. A futurist view driven by technological developments. Also being backed by NASA and Google. Tableau Software's view of Microsoft's new Business Intelligence strategy. With lots of fear mongering and money being thrown around it is good to see that some companies are still pushing private enterprise and being bullish about ad spending. In a recent review post of the book: Crowdsourcing by Jeff Howe I mentioned P&G's use of Innocentive for open innovation. A competitor of Innocentive is NineSigma, which is only briefly mentioned in the book. Ninesigma has issued a white paper called "Defining Success in Open Innovation", which provides a useful view. You can download it here, with a brief sign-in. Worth a look. An age perception game: How Old are You?. Testing several things: How well can a person determine the age of a person from varying styles of images? And how good are they at estimation? I would have liked the author Bryant Smith, to gather other data about the player, like their gender, age and their demographics. Also a social play aspect since you can add your own picture to the mix. Roger Dooley on Neuromarketing analysis of Superbowl advertisements.. It is an old idea to connect sensors to advertisements and make them respond to people. As simple as motion sensors; my local 'Jungle Jims' has a huge Campbell's soup can hung from the ceiling that talks to you when you approach. But what if you added advanced sensors that could detect the age, gender and other demographics of people as they approached? Even track the attentiveness of those interested. Tracked the interaction of their eyes? Then adjusted the message based on what it detected? Simplest thing would be to play alternative videos or images. We experimented with some of this in the innovation lab. Also because each interaction sets up an experiment and outcome, this could be linked to neuromarketing sensor data to classify specific behavior. The sensor classifications are not perfect, usually 80% or so, but a miss is usually not a big problem, depending on the category. Or how about adding it to a system like Prism (abandoned by Wal-Mart and then by Nielsen), to get some additional measures for your in-store metrics? News out now about Tru-Media, which describes their approach as 'Proactive merchandising', actually better described as adaptive merchandising. Their site has some good videos of the concept. Worth continuing to experiment with. As sensors improve we will see more of this. Most of these systems do not try to identify anyone, so there would seem to be little concern from the privacy direction. If you trust the people analyzing the images. IBM using Twitter and a further case study and short slide show on corporate culture and social media. After connecting with them for several years have been impressed by how well they have integrated these capabilities.